The ‘lectern’ is actually a music stand that was owned by John Brennock, who bought it in an antique shop on Fishamble Street. During one of many meetings to prepare for President Kennedy’s visit, it was realised that the Dáil chamber did not have a lectern that could be used for a speech – TDs address the Dáil from where they are seated. 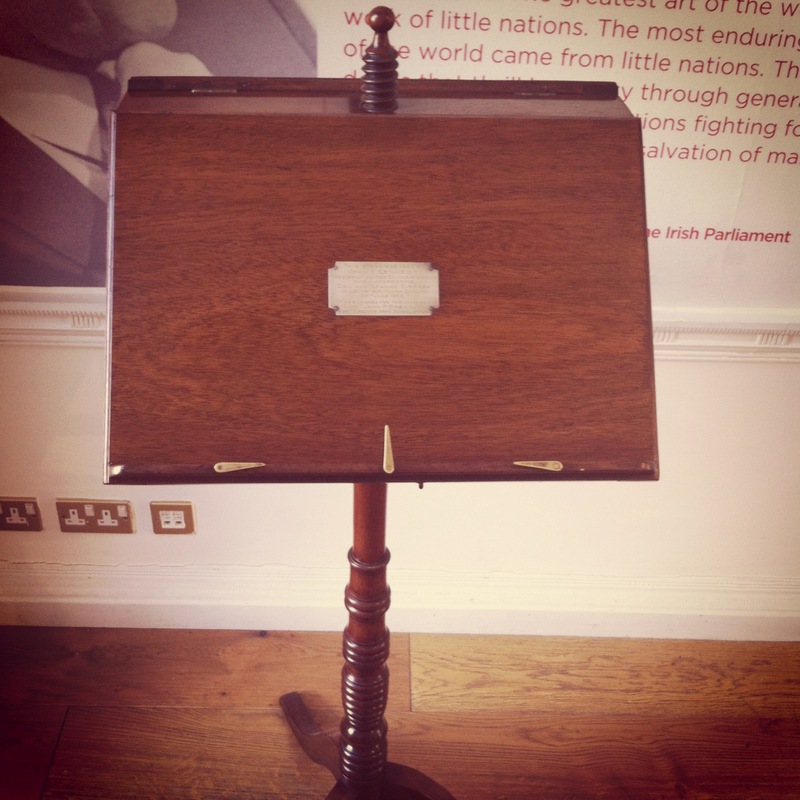 Mr Brennock offered to lend his music stand to the Oireachtas. By the time the stand was returned – strapped to the top of a car – Kennedy had already been shot.